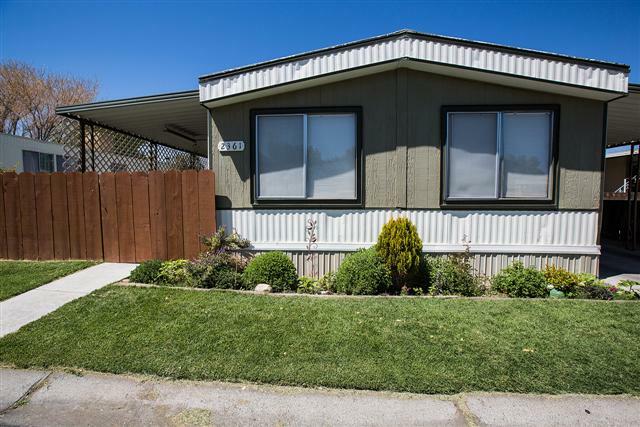 2 bedroom 2 bath mobile home. Neat and clean, with wood laminate floors throughout. New interior paint with baseboards. Pellet stove, newer floors in bathrooms. Spacious lot with room for gardening. Updated stairs on both sides. Near club house and pool area. Highlands Family Park is a mobile home community located one mile north of downtown Bishop, CA. Around the park, you will often see neighbors and friends walking dogs while admiring the surrounding mountain views. The mobile homes in this area are well kept and the neighbors are courteous. Residents have use of the clubhouse, park area and community pool. Space rent includes water, sewer and trash. Jose Franco, Real Estate Professional in Bishop California for Eastern Sierra Realty. Reach us at 760-873-4161.